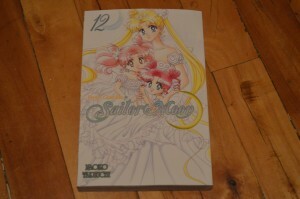 Volume 12 of the Sailor Moon manga was released today! It is now available in stores and online. Buy it from the Amazon link included below to support the site. 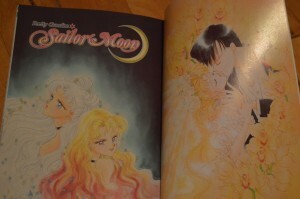 This story concludes the main story of the Sailor Moon manga. This is it! Will Sailor Moon beat all the bad guys or will she be killed along with all her friends? You’ll have to read the book to find out! There will be two more books of short stories which are aside from the main continuity which will be released in the coming months. Included as always are some nice looking colour pages. Katie Griffin, the voice of Sailor Mars from the English dub of the Sailor Moon anime, will be a guest at Unplugged Expo in Toronto October 26th and the 27th. Unplugged Expo has now confirmed that three actors from the Sailor Moon dub will be in attendance for their Sailor Moon 20th Anniversary celebration. 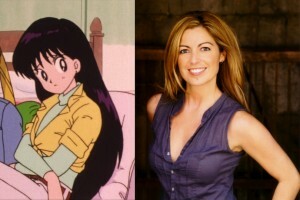 Katie Griffin joins Stephanie Morgenstern, the voice of Sailor Venus, and Susan Roman, the voice of Sailor Jupiter. Perhaps more Sailor Moon voice actors will soon be announced to be joining them as well. This will be Katie Griffin’s third Toronto convention appearance in 2013. She was at Anime North in May and will be at Fan Expo August 22nd to the 25th. Early bird registration is open from now until August 1st. It’s just $15 which is half of what you’d pay at the door! 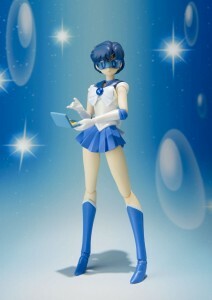 Bandai’s Sailor Mercury S. H. Figuarts figure is now available for pre-order from Amazon. The figure will be available December 15th. You can order it through the link below. Can’t wait that long? The Sailor Moon figure will be out October 1st. Sailor Mars must be close behind at this point! All figures and manga sold at Amazon can be purchased from our Amazon Store located on the left sidebar of the main page. We’ve got new information and a better look at the cast of the new Sailor Moon musical set to play in Japan this September. A lot of this can be found on the musical’s official site. 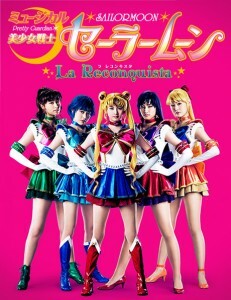 The musical now has a title “La Reconquista”. We also have a look at the Sailor Soldiers and Tuxedo Mask in their costumes. 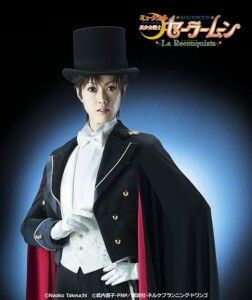 Noteable is that Tuxedo Mask and all other male characters are being played by female actresses. The musical’s story will be focusing on the Dark Kingdom story arc meaning Queen Beryl, the four Shitennou and Queen Serenity are all characters. The Shitennou, male characters, are also being played by women. A curious character included in the cast list is “Lemures Leader”. The monsters from the Dead Moon Circus are called Lemures while the monsters from the Dark Kingdom are referred to as Youma. Lemures is a name for spirits of the dead while Youma simply means monster. We can speculate about what this means but it’s likely they’ll just be referring to a group of monsters as Lemures. Shows run from September 13th to the 23rd. Tickets go on sale August 17th. More information is available on the official site. If you’re interested in attending you might want to make plans to be in Japan in September. We finally have a first look at the Sailor Mars prototype figure from Bandai’s S. H. Figuarts line! 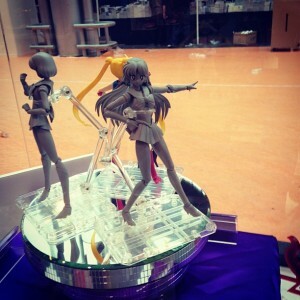 This figure is being unveiled at the Japan Expo in Paris which technically starts later today, July 4th. 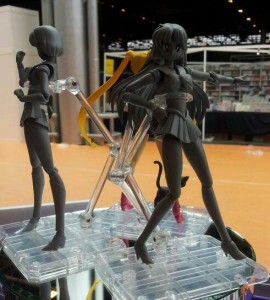 Like the other figures in this line it will be a very detailed very posable figure with many swappable parts. This is a prototype so the design could change but the Sailor Mercury full colour figure ended up being pretty much as shown. 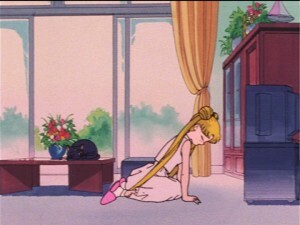 We’ll have to wait and see what kind of accessories Sailor Mars may come with. Any guesses? I would think we could see her Ofuda, the piece of paper on which her charm is inscribed, and maybe Phobos and Deimos, her pet crows. The new Sailor Moon anime is set to begin airing in December or January?? News about many things came in today but I first wanted to share the latest about the new Sailor Moon anime that we’re all very excited for. 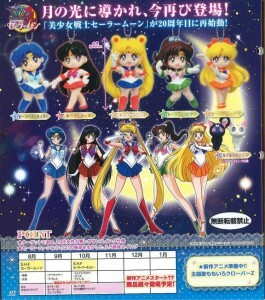 A flyer for the new Sailor Moon keychains also listed some other upcoming Sailor Moon related dates. Miss Dream has been great in translating the relevant information and reveals that the show is currently in production and set to start airing some time around December 2013 or January of 2014. This lines up with earlier information we heard about the show being delayed until winter. More specifically the small calendar at the bottom of this flyer has an entry in December and January stating that the new anime will start then, but it is punctuated with not one but two question marks! What could it mean? Well it probably means this date is not set in stone. Needless to say the original date of “Summer 2013″ is no longer something fans should be expecting. This is great, but not terribly definitive news! A delay may not seem ideal but now we some fairly reliable information that the show is underway and a rough idea of when to expect it. 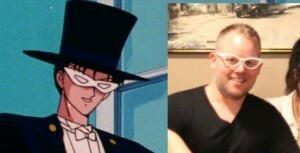 Toby Proctor, who voiced Tuxedo Mask in most of the first two seasons of the English dub of the Sailor Moon anime, will be reprising his role at Fan Fiction The Show. Performing in costume Toby Proctor will be joining others in a comedic reading of Sailor Moon fan fiction. The show will be this Saturday July 6th at 8pm and 10pm at the Black Swan Comedy Club in Toronto. Full details are available at the event’s Facebook page. Tickets are available at Brown Paper Tickets. 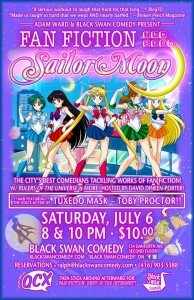 There should be a lot of Sailor Moon fans in attendance so Toronto fans should make an effort to check it out. The show’s description paints a decent picture of what’s in store.